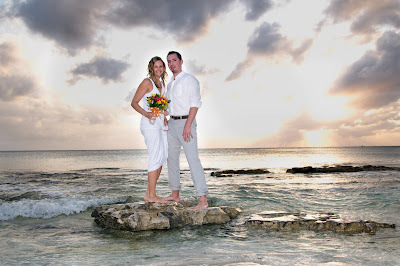 Grand Cayman sunsets are as varied as the myriad of locations couple choose for their special day. 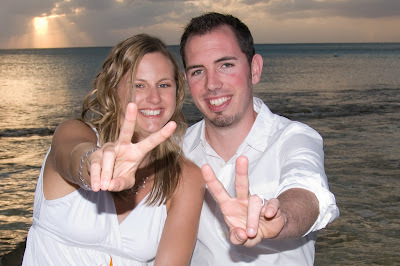 This wedding took place at the Discovery Point Club, one of the many condominium units along Seven Mile Beach. This is the beach at Discovery Point Club condominiums. 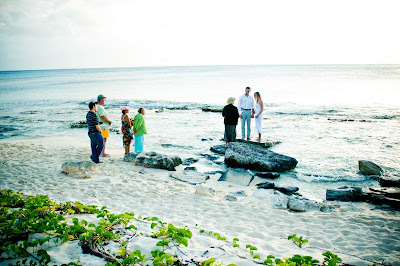 To the left of Discovery Point Club is an area which has sentimental value for many couples. Both engagements and weddings take place at this quiet spot. Here is the small audience of visitors who acted as witnesses. This wedding took place at 5:30 pm, the light was perfect. Some photos don't need captions. 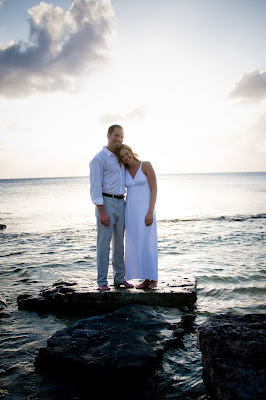 I continue to be awed by the beauty of the Cayman Islands, and to discover new places to excite both couples and photographers. Ceremony by Joy of Weddings, arrangements by Cayman Weddings, photography by Luis Vallecillo and flowers by Trisha's Roses. Thanks to Ollie Ebanks of Discovery Point Club, and to the guests who were so helpful.